Well, yes… Christmas is over, but the Twelve Days of Christmas are not. We’re right in the middle of them at this very moment. It’s a common mistake that some people think that the twelve days of Christmas as mentioned in the famous song are the days leading up to Christmas. 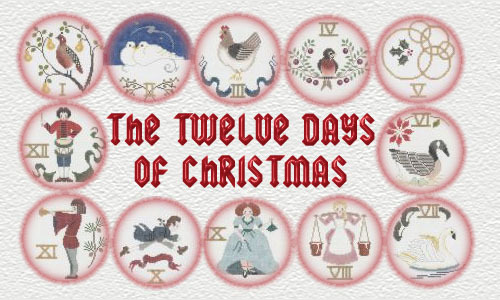 Actually, the Twelve Days of Christmas begin AFTER Christmas Day. They are the twelve days that begin on December 26th, and end on the Twelfth Night – January 6th, also known as Epiphany. Most of us don’t celebrate these twelve days – other than to see them as days of returning unwanted presents, taking advantage of end-of-the-year sales, and enjoying Winter Break before returning to school or work. But in cultures past and present all around the world, the Twelve Days of Christmas have as much of a history and tradition as Christmas itself does. So let’s take a little time to examine these days. The Twelve Days of Christmas really exist outside of linear time. They are, in a sense, the fruit of the past year… one day for each month that has passed. No matter which calendrical system one follows there are certain extra days – called intercalary – such as the 29th day added to February in a Leap Year, which make up the necessary fluctuations in the earth’s orbit around the sun. 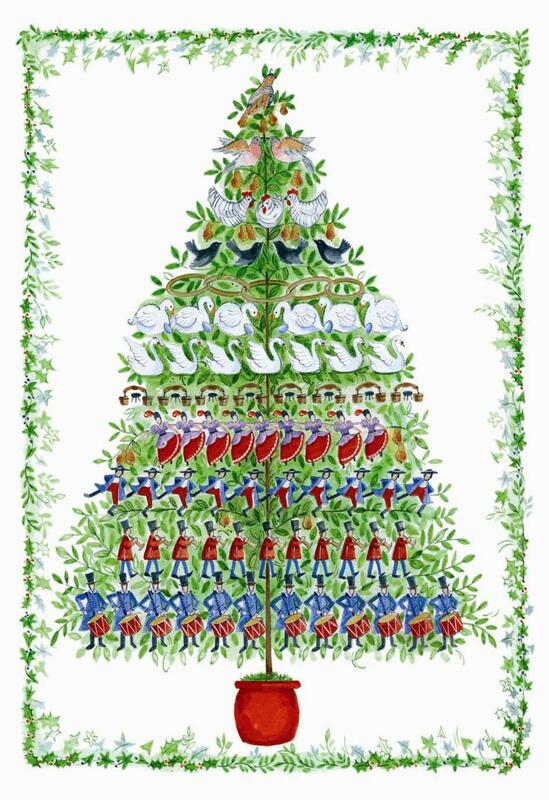 So just how did the Twelve Days of Christmas originate? Well, that gets a little complicated. In order to understand where these twelve days come from, we have to go back in history to understanding the different calendars that have been used since the beginning of time, and how they correspond with the actual solar year and the rotation of the earth around the sun. Before the time of Julius Caesar, the Roman calendar was a mess, and often exploited by the priests of Rome for political purposes. Tired of the constant chaos such an undependable system created, Julius Caesar decided to put the long-abused calendar back on track. The result was the Julian calendar, which was adopted around the year 45 B.C., consisting of a solar year of 365 days with an extra day every fourth year. However, there is still some uncertainty regarding the early years of the Julian calendar, particularly in relation to the leap years and the exact dating of days and months. It wasn’t until around the year 5 A.D. that the Julian Calendar was finally stabilized, and became widespread throughout the Roman Empire, and then the world… including various Christian churches, which inherited many of the traditions and beliefs that came out of Rome and its newly founded religion. Interestingly, Julius Caesar had originally proposed that the year begin at the Winter Solstice, but the Roman Senate, which traditionally took office on January 1st, wanted to keep this date as the starting of the new year, so Julius yielded in a political compromise. The problem with the Julian calendar was that it was in fact inaccurate with the solar year – the difference in length between a Julian year and a solar year being approximately 11 minutes (give or take a couple of seconds). This error accumulates so that after about 131 years the calendar is out of sync with the equinoxes and solstices by one day. Thus as the centuries passed the Julian Calendar became increasingly inaccurate with respect to the seasons. This was especially troubling to the Roman Catholic Church because it affected the determination of the date of Easter, which, by the 16th Century, was well on the way to slipping into Summer. And of course, it also made celebrating the Winter Solstice troublesome as well! This problem was “resolved” in 1582 when Pope Gregory XIII decreed a new calendar, which corrected this drift by dropping ten days to bring the calendar back into synchronization with the seasons, and issuing new leap year rules. Under this new reform, the day following October 4, 1582 became not the 5th of October, but rather the 15th of the month. So why ten days instead of twelve? For that matter, why drop any days at all? In reality, there was no reason for having to omit any days at all, as only the leap year rules are truly required to keep the calendar synchronized with the vernal equinoxes. The major reason is actually political – a desire to keep the Spring Equinox on March 21st, as established by the Council of Nicea in 325 A.D. as a way of determining the date of Easter within the Roman Catholic Church, thus making it independent of the Jewish calendar. However, not everyone embraced the Pope’s new calendar right away. The predominately Catholic countries of Italy, Spain, Portugal and Poland adopted the new calendar almost immediately, followed by France, Hungary and the Catholic sections of other countries such as Germany and the Netherlands. Other European countries and non-catholic regions made the change during the late 1600’s to early 1700’s. Britain and its colonies waited nearly two hundred years, not adopting the new calendar until 1752. By that time, the number of “lost” days had grown to eleven, and when an act of Parliament made the new calendar law, angry rioters stampeded through the streets of London, demanding that the government return the days that had been “stolen” from them! Of course, no days were ever really “stolen” from the calendar… rather, this was all an attempt to synchronize the days with the actual solar years. Nor were any days ever returned back into the calendar. In reality, the Twelve Days of Christmas are NOT intercalary days. Nevertheless, the days between Christmas and Epiphany have come to take on a special connotation, and are often celebrated as days for the honoring of the gods… or in the case of the Christian calendar, as days for remembering the various saints. In the year 560 A.D. the Council of Tours declared them part of the festival of Christmas, and for some time after this the tradition in parts of Europe was to light twelve bonfires to honor the twelve apostles during this festival. Both Pagans and Christians can enjoy a wide variety of customs and celebrations during these twelve days, and come to a deeper appreciation and a greater understanding of the shape and meaning of the Winter Solstice. In upcoming posts here at Deaf Pagan Crossroads, Ocean will explore in more depth those twelve days, what they mean, and how they can be celebrated. Stay tuned! Cool, I never tire of hearing this story… I love how people actually wanted their days back! Sunflowerwoman – Yes, in fact those people who believed in “predestination” were convinced they would live 10 days less. Which is one of the major underlying reasons people were so pissed at losing 10 days.